Paypal is a very popular payment gateway among WooCommerce store owners. And also very trusted especially if you’re considering setting up one click upsells in your store. Nielsen Online Buyer Insights report revealed that Paypal Merchants see an increase of about 27% in conversions after integrating Paypal. The total amount spent on their store also increases by an average of 15% and the transactions per customer doubles. Paypal standard comes bundled with native WooCommerce. PayPal processes the payments through its own site and not through yours. The customers pay with a Paypal balance or credit card. They’re sent to PayPal from the checkout screen and you’re charged a standard transaction fee per transaction. After making the payment, the user is directed back to your website. PayPal Express Checkout (now rebranded as PayPal Checkout) is very similar to the PayPal standard as there are no setup or termination fees. The transaction fee is similar to that in the standard. But as the name suggests, it’s the easier and faster way to make payments using PayPal as a payment gateway. It makes the checkout experience even simpler. The users stay on your site or mobile app – they only approve the purchase on PayPal via modal window and complete the checkout on your site. 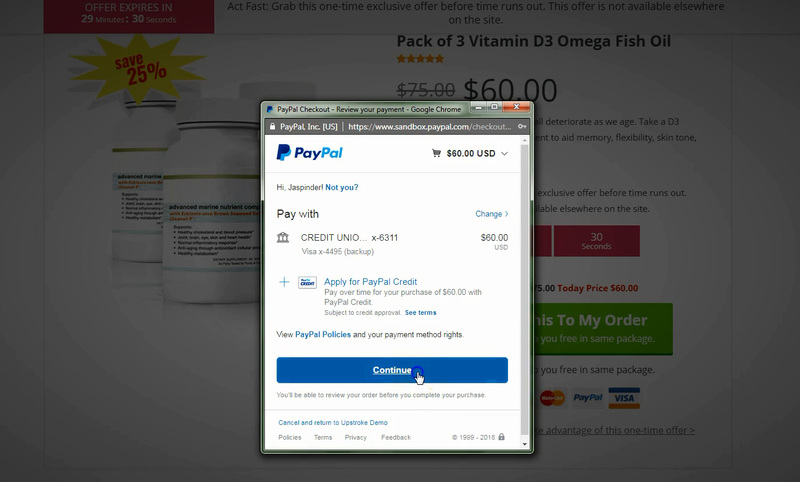 PayPal also offers smart payment buttons that allow users to make payment without leaving your website. Hot Tip: Try out this PayPal for WooCommerce by AngellEye . 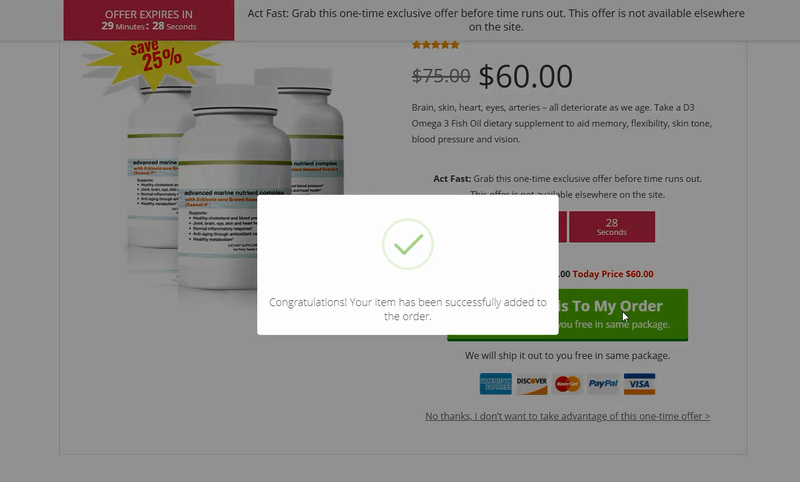 It has feature to skip the final review of order summary which has reported to increase conversions. There are three ways to run one-click upsells in WooCommerce with PayPal Gateway. Reference transactions mean that when a buyer makes a purchase from your store, a Billing Agreement is created between buyer & seller. You can initiate subsequent transactions and capture future payments against this Billing Agreement, without your buyer going through checkout process again. Buyers do not need to re-enter their PayPal details or go through the same process again to make subsequent payments for the upsells. 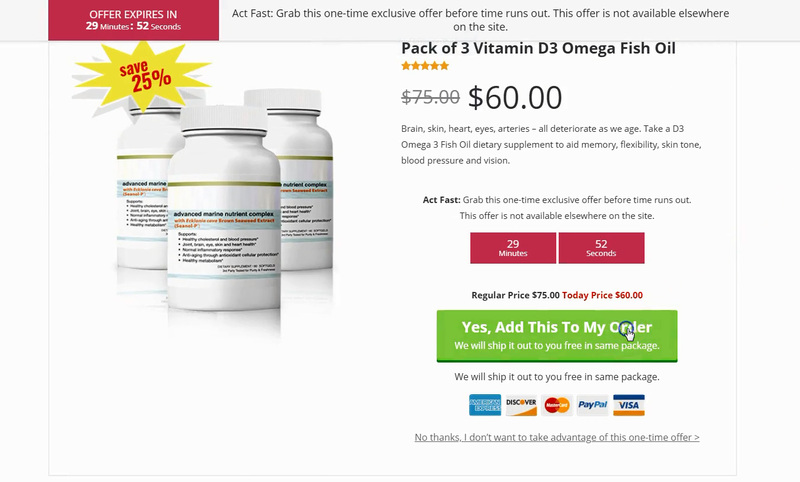 This enables you to charge buyer with a single click. How to get Reference Transactions enabled to run one-click upsells? In order to get PayPal reference transaction, you must call your local PayPal Support Help center. Find the phone number listed here. You can call them and let them know that you want to get reference transactions enabled on your account. You can even submit an email application by logging into your PayPal account – and submitting your application through an email contact form. When you contact PayPal support, you may not reach the right person in the first go. But you must keep consistently trying. When you finally get to speak with the PayPal specialist, they may try to help you set up recurring payments through a button. But that’s not what you want – you don’t want subscriptions but one click upsells. For post-purchase upsells, they’ll transfer your call to a specialist for setting up post-purchase upsells with PayPal. And he will take your PayPal account details. 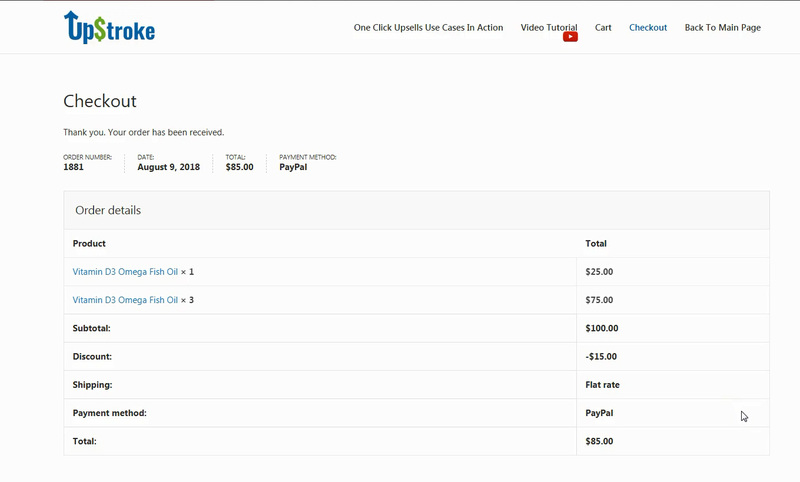 One of our US-based customers followed these instructions step by step and got his account recently activated for taking one click upsells payments. In a single click, the upsell is added to his order. The process of getting ref transactions enabled typically takes 2-3 days for US-based based customers. But for European, Asian and other customers – the PayPal laws can be even more stringent. PayPal does not even explicitly mention their requirements anywhere. So it may take a bit of back and forth to get PayPal reference transactions enabled for your account. In fact, we had a lot of non-US based UpStroke users kept telling us that the process was taking longer than they had expected, PayPal needed extensive documentation so on and so forth. So we came up with an innovative solution. When you use UpStroke one-click upsells with Paypal as a payment gateway on your WooCommerce store, you do not need to get reference transaction enabled anymore! You can lead your buyers through your one-click upsell funnel. And they wouldn’t have to re-enter their payment details to accept it. Now without the reference transaction enabled, everything else remains the same except for one thing. An additional intermediary step gets added between step #2 and step #3. So this acts like a two-step confirmation. You must understand that this is so much better than not being able to show him an upsell funnel at all. The Paypal user goes through the upsell funnel even without the reference transactions enabled. So you have a chance to increase your order value through your backend funnels. You can open an account with Braintree and use WooCommerce PayPal powered by Braintree Payment Gateway. The reference transactions are by default turned on for merchants who are using PayPal via Braintree. So no additional work is required here. And you can use PayPal as a gateway to collect payments for your one-click upsells without any additional hassles. The flow remains same as in Method#1. You can choose any of these three methods to activate one-click upsell with UpStroke. If you choose to get reference transactions enabled then do get in touch with PayPal specialists to update your account information. If you’re based out of US, the process may not be as typical for you though it can take you up to 4 days to get things going. But if you do not want to get reference transactions enabled and especially if you’re not based out of the States then you may go with method #2. Hope this guide helps in knowing inside-out of running post purchase upsells using PayPal.